You may contact us at our Facebook page with any questions or issues connecting your accounts. 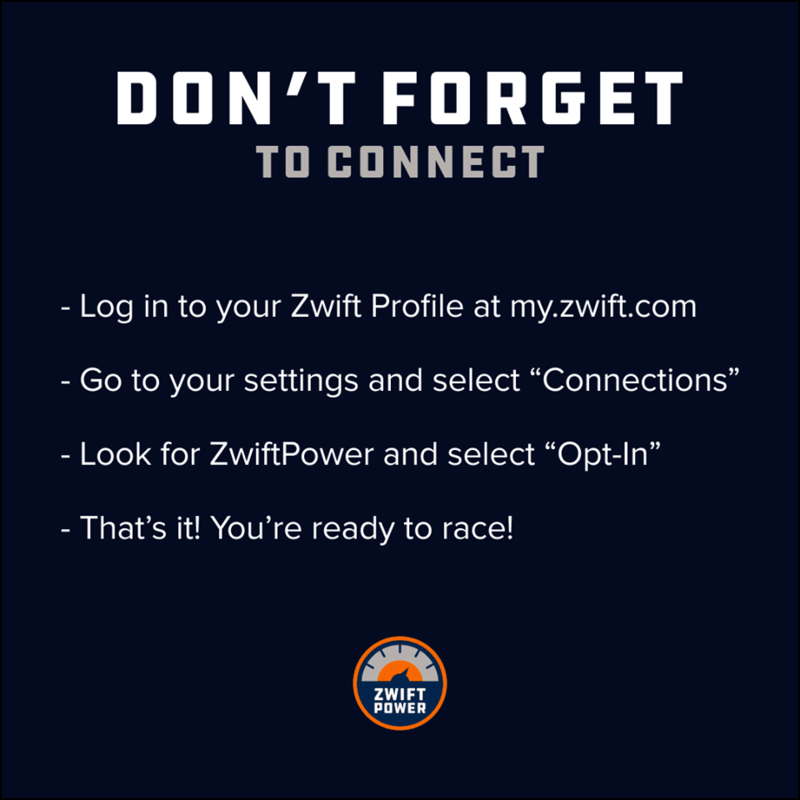 Hosting and infrastructure support is provided by Zwift.com. They are not responsible for any content. Last 30 days if at least 5 races, otherwise last 90 days. Average of best 3 efforts used (4.1 + 3.9 + 3.8 = 3.9). Riders may self-upgrade from their profile settings tab. You may enter a higher category than the one suggested. Riders exceeding the wkg boundary are upgraded to the appropriate category. As above but riders placed at bottom. Riders are split from a single category into A-D.
All riders given the category U. All riders DQ'd with N/A. All riders over 2.5wkg are DQ'd. Variability Index. A calulation of how even your power was. A lower number is more of a TT effort, while higher suggests many sprints with plenty of rest. It is simply your Normalised power / Average power. An estimate of the power you could achieve if your power had remained constant. This is the lowest weight you had during the race. ZPower riders cannot win in any category. Most races enforce a 5wkg rule for all categories. Any rider exceeding this will be removed from results if not approved.